Your heart reveals your treasures. Do you serve God or do other people or things have a hold on you? Your eye can help you answer that question. 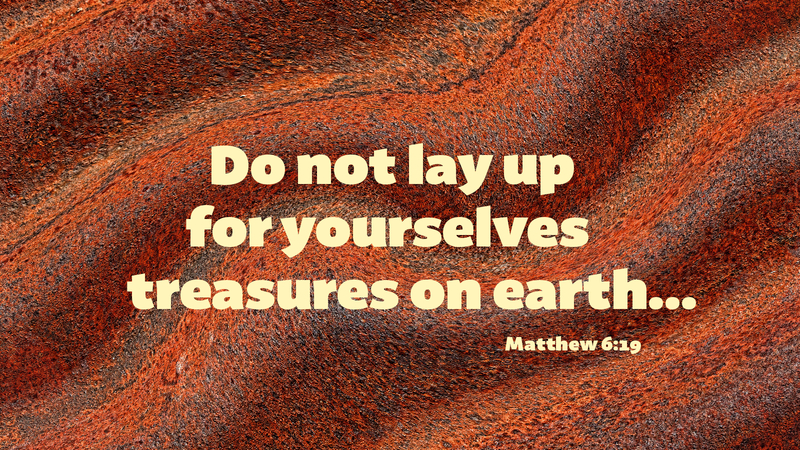 These verses talk about the pull of wealth and money on our thinking and behavior. The lamp of the body is the eye. It sheds light on us and in us. It reveals the real me. If the eye is single or sound, all the body will be shining, lit up, no longer hidden. But if the eye in you is evil, all the body will be dark. And if the instrument of light brings darkness, the “light” turns out to be very dark. It does not reveal the things of God. The verses about the eye are surrounded by words about the things we treasure in this sinful world and the need to not split our loyalties. Where do we spend our time looking? On what do we feed our lives? The righteous virtues of God or the sinful pleasures of this world. In our affluent society we are plagued by the temptation to trust what we accumulate rather than the abundance of God’s storehouses. Prayer: Dear Lord, give me a hunger for your blessings and help me see your provision. Amen.